GU10 spotlight (downlight) bulbs are available in CFL (Compact Fluorescent Lamps) , LED and lower energy Halogen versions. 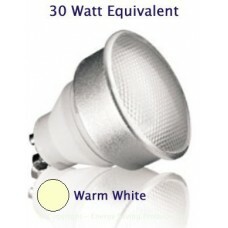 CFL type GU10 Spotlight light bulbs are cheaper than LED versions but take a short time to reach full brightness and are slightly larger than standard halogen types. 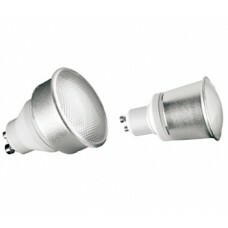 LED versions are more expensive but light up instantly, use far less power and last for far longer. 7W = 30W Equiv CFL GU10 Spotlight in Cool White This is a top quality 7 Watt (30 Watt) Compact G..
7W (30W Equiv) CFL GU10 Spotlight in Daylight White This is a top quality 7 Watt (30 Watt) Compa..
7W (30W Equiv) CFL GU10 Spotlight in Warm White This is a top quality 7W (30W) Compact warm whit..